AgriMarketing | Canadian Agricultural Partnership | Mentor Works Ltd.
AgriMarketing is a Canadian government grant that supports international expansion projects undertaken by food and beverage businesses. Through the program, small and medium-sized businesses (SMEs) can offset a portion of eligible project expenses for trade shows and related international marketing activities. The AgriMarketing Program directly offsets up to 50% of eligible project expenses to a maximum $50,000 in export marketing grants. To qualify for AgriMarketing export funding, applicants must produce or process agriculture, agri-food, fish, or seafood products in Canada, maintain fewer than 250 employees, and earn less than $50 million in annual revenue. Applications are accepted on a continuous basis and will be reviewed until September 30, 2022 (or until funding has been fully committed). Companies should consider submitting applications up to three months before international trade shows or events and secure approval prior to incurring project-related costs. Program Overview: What are AgriMarketing Grants? AgriMarketing is an export marketing grant which helps Canadian agriculture, agri-food, and agri-product businesses promote and differentiate their products internationally. Its funding supports a portion of costs related to export markets development projects, including participation in trade shows and top industry events. Through the AgriMarketing program, Canadian agri-businesses may receive up to 50% of project costs to a maximum $50,000 per year. AgriMarketing is one of the many streams of funding support provided through the Canadian Agricultural Partnership (CAP). CAP is a five-year framework providing Canadian government funding for agricultural-focused projects. Export market development is included in this framework, which is the basis for AgriMarketing’s support. Legal entities acting as a company representative or third-party. Implementation of branding or market development strategies. Attending, but not exhibiting at a trade show. Other costs directly related to the project’s completion (including shipping, printing, and document production). AgriMarketing FAQs: Answers to common questions about the AgriMarketing Program for businesses. Export Trade Shows for Canadian Business in 2019: Discover trade shows to participate in with the assistance of AgriMarketing grants. Supporting documents (such as an export market plan) to provide project context. AgriMarketing applications should be submitted no later than 75 days prior to a business’ first trade show or marketing activity receiving funding. This will allow for your application to be reviewed prior to incurring project expenses. How are AgriMarketing Applications Reviewed? Activity-specific results (such as new leads or sales acquired). Considering how AgriMarketing can support your upcoming project? Contact Mentor Works to evaluate whether your project is a good fit. 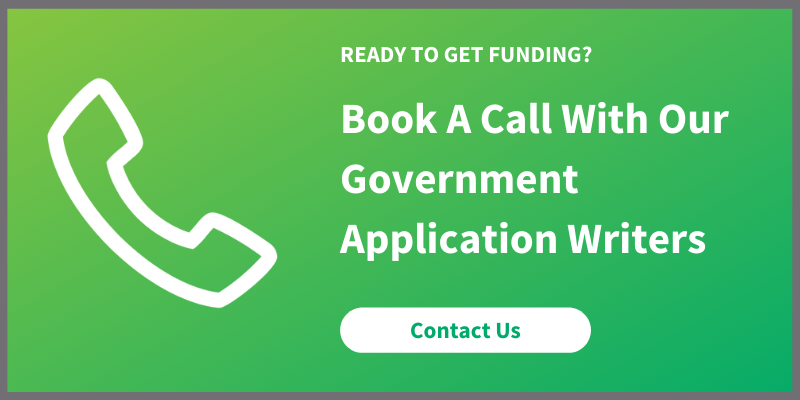 Our team can help you align your upcoming project for AgriMarketing funding and streamline the application process with time-saving info collection documents and a dedicated team of writers. Posted: June 19, 2012. Updated: December 19, 2018.